Being Frank: The Chris Sievey Story, 2018. Starring Chris Sievey, Martin Sievey, Paula Sievey, Jon Ronson, Ross Noble, Johnny Vegas and Bernard Kelly. 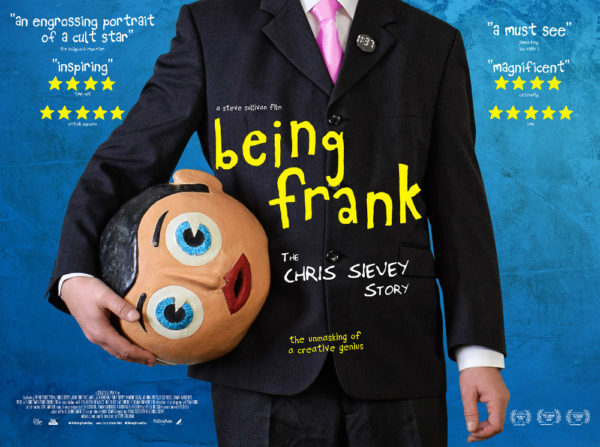 The story of musician and entertainer Chris Sievey, who eventually achieved fame by wearing a papier-mâché head as the wacky Frank Sidebottom. If you were a child in Britain in the 1980s and early 1990s, the character of Frank Sidebottom is likely familiar to you. With a broad Mancunian accent, a selection of sharp suits and, most famously, a gargantuan papier-mâché head, Sidebottom’s zany live performances of music, stand-up and bonkers slapstick made him a uniquely British form of celebrity. 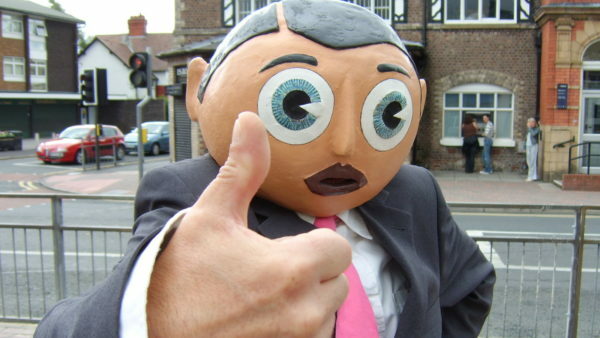 Nine years after his creator Chris Sievey passed away following a battle with cancer, filmmaker Steve Sullivan has crafted this heartfelt and loving documentary about the man behind the gigantic fake bonce. Being Frank is a fairly linear take on Sievey’s life, from his early days as a prolific musician to his work as the frontman of The Freshies, who came within a whisker of achieving chart success. 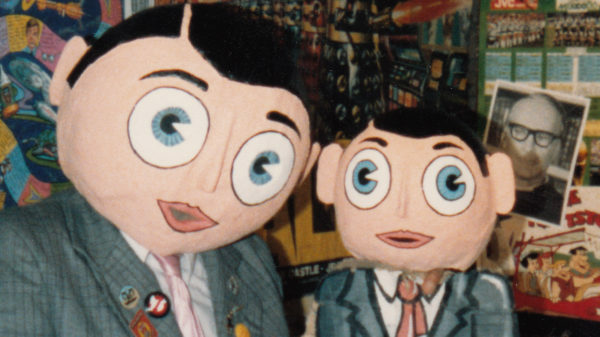 It was while creating DIY promotional materials for that band that Sievey came up with the idea of Frank Sidebottom – a Freshies superfan who was also an aspiring musician. What started out as Sievey portraying his own support act eventually took on a life of its own, usurping any fame the man behind the head had accrued as himself. As the film’s (normal-sized) talking heads state, Frank’s world was “founded on illogicality” and “too wonderfully strange to ever make it in the mainstream”. Those talking heads run the gamut from the surviving members of Sievey’s family, through to former members of Sidebottom’s Oh Blimey Big Band and modern comedians – most notably Ross Noble and Johnny Vegas – who consider Sievey’s work to be culturally important. It’s a glittering roster of good-humoured folk discussing the importance of a madman in a funny costume, and it’s a true delight. Sidebottom’s unadulterated chaos is so incongruous with everything we know about mainstream comedy and its precision-tooled construction – Sievey could not be further from the forensic likes of Stewart Lee – that he comes across as a genuine light entertainment unicorn. 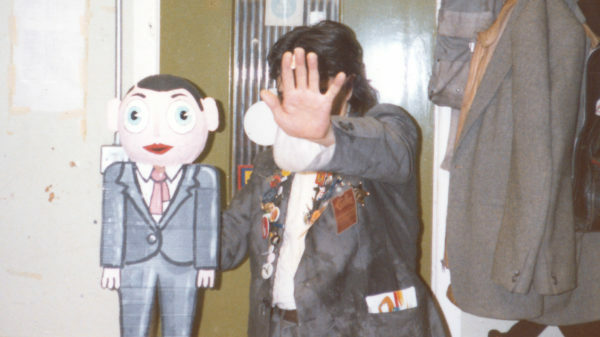 And everyone in Being Frank acknowledges that Sidebottom is the epitome of being a one of a kind hit. This is a guy who found lightning in a bottle and ran with it, in the wake of a musical career mostly characterised by throwing everything at the wall in the hope that something would eventually stick. The film’s first half follows Sievey as a kind of frenetic innovator, penning elaborately artistic letters to his fans and managing to programme a lyric video for one of his songs on to vinyl so that it could be viewed on a ZX81 computer. It’s no surprise that one didn’t catch on. Sullivan presents Sievey as a man whose mind was permanently overflowing with ideas, and it’s here that the film veers into something of a tragedy. Being Frank focuses on a man for whom the success of his wildest creation was not enough. The film depicts Sievey as a creative whirlwind, who grew to resent the papier-mâché head under which he was both literally and figuratively confined. Just as Eminem sang “I’ve created a monster, ’cause nobody wants to see Marshall no more, they want Shady, I’m chopped liver” in his song ‘Without Me’, Sievey was forced to struggle in a world in which no one was interested in his output as a serious musician. This is a film about duality and about the yawning chasm that often forms between expectations and reality. 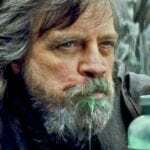 The joyous insanity of what one interviewee dubs “Frankomania” takes centre stage, but Being Frank equally never shies away from the troubles of the man behind the suit and the fixed, cartoon expression. It’s an education for those who missed the wave of love for Frank Sidebottom, and a warm tribute for those who were part of the phenomenon.